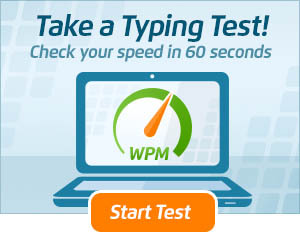 Exciting things have been happening at TypingTest.com! We recently completed a series of updates that enhance the usefulness and usability of our website and mobile apps, and we’re excited to share them with you. You’ll quickly see that we’ve updated the look, feel and layout of the site. We’ve also completed a series of technical improvements that make the site easier and more intuitive to use across multiple devices. Learn more about these updates, and then check them out for yourself! HTML5 – Our tests now operate off of HTML5 instead of Flash for improved accessibility. Although it was an Internet mainstay for years, Flash is not supported by iOS devices or by many Android devices. To ensure that TypingTest.com is available to all users, we’ve made the switch to a more stable option, HTML5. With this upgrade, TypingTest.com ensures its usability now and well into the future. Loading Times – Various technical upgrades that were performed have produced a site that loads a lot more quickly. Taking typing tests, playing typing games and interacting with other features are all faster and better than ever. Overall functionality has been sped up considerably too. If you have used the site in the past, you’ll be tickled by how quickly is responds now. Device Support – To keep up with the mobile revolution, certain technical improvements were made to enhance the site’s performance on mobile devices. Tablets, in particular, now play a lot more nicely with tests and other features. Most notably, the test applet shrinks vertically to provide more space for on-screen keyboards. These upgrades also improve performance for tablets with external keyboards. Responsive Design – TypingTest.com is now a responsive website. Responsive web design ensures that a single set of code renders a site correctly across all devices. This produces a seamless experience, whether you are using the site on your desktop, laptop, tablet, smartphone or other device. New Mobile Typing Test – More people are accessing TypingTest.com via mobile than ever. In recognition of that, we have created a new mobile friendly typing test that you’re sure to love. It is designed with mobile technology in mind, so it functions more quickly and effectively. Clearer Layout – We’ve also cleaned up the overall look of the site. This more minimalistic design makes it easier for you to find your way around. Going forward, it will be simpler to find new features and to make the most of the site. Also, the improvement just makes the site look nicer. It now has a cleaner, more modern aesthetic that keeps distractions at bay. Fully Tested – Upon completing these updates, we thoroughly tested them and the site in general to ensure everything is functioning properly. We’ve already seen an uptick in the number of tests being taken by visitors, which is a strong indication that they are enjoying the new updates. In the unlikely event that you run across a glitch or other issue, please bring it to our attention and we will address it as quickly as possible. Save Your Results – Our users spoke, and we listened! To better assist you in improving your typing skills, we will be updating the site so you can save your results. This upgrade will allow you to track your progress more easily by allowing you to refer back to past test results. Improved Sharing – The Internet is more social than ever. Sharing has been available for some time, but we will be rolling out improvements that make it even better and easier. Sharing test results via email or social media will be even more intuitive. Check Out Our Updates Now! Whether you’re a longtime user of the site or if you’re just trying it out for the first time, you’re sure to appreciate the recent updates we’ve made to TypingTest.com. Everything except the items listed in Coming Soon are live now, so go ahead and check them out on your desktop computer, laptop computer, smartphone or tablet. Let us know what you think too–feedback from users like you is what inspires future updates! == https://www.fiverr.com/godslovew9 == ….trying to link him to my self but having ran into typing test…… Hope you guys got speed typers and teachers like him. Hoping to be with you soonest ! I have a reading disability and occasionally take tests like these to try and see how compensatory measures work and what i need to focus on…. on this specific occasion I couldn’t help but notice the section before the scientific test that reads :”Read each sentence carefully, then type it as fast and accurately as poosible”. perhaps correcting the spelling of “possible” may be a solid venture to undertake. 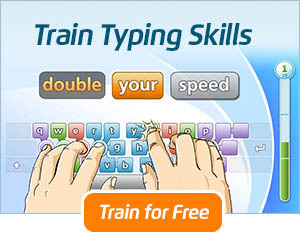 I’ve been taking your touch typing course and I have been enjoying it. There is one thing, however, that could be improved. A couple of times while taking typing tests the program froze. I could keep typing, but the highlighted words didn’t move with me and was marking everything as errors. At that point I either had to wait for it to catch up which would cost me time on the test or I had to exit the test and start over which is what I ultimately did. This is a glitch that should be addressed immediately so it doesn’t cause students any more problems. Thank you. Hi, thank you for your feedback. Apparently the same error didn’t occur when you re-started the test? The glitch was most likely caused by a temporary network error. Its great! 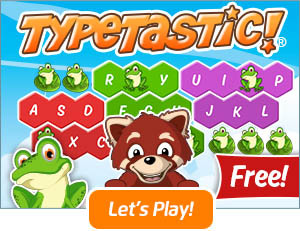 Because of this website, i learned how to touch type at grade 6 and now i am typing at 100 wpm in grade 8 ( graduating) . Although the progress takes long, there are plenty of other sites to use . But this is great if you don’t know typing. I was a professional word processor for years and tried your tests on a whim just to see how far my skills have atrophied since I left full-time typing. Alas, I still don’t know, because your tests bear little resemblance to real-world keyboarding. A pro typist learns to press each character reflexively on sight, which is impossible when every word fades from sight as soon I start to type it. Forcing me to remember what word just vanished and type it from memory, and to repeat that task on the fly for every single word in the test, requires a whole additional layer of cogitation that precludes true touch typing. Thanks for offering these tests for free — what a shame the UI is too fancy to test actual touch typists. I’ was a professional word processor for years and tried your tests on a whim just to see how far my skills have atrophied since I left full-time typing. Alas, I still don’t know, because your tests bear little resemblance to real-world keyboarding A pro typist learns to press each character reflexively on sight, which is impossible when every word fades from sight as soon the user starts to type it. Forcing me to remember what word just vanished and type it from memory, and to repeat that task for every single word in the test, requires a whole additional layer of cogitation that precludes true touch typing. Thanks for offering these tests for free — what a shame the UI is too fancy to test actual touch typists.